The UK price of the Samsung Galaxy Nexus, which was released earlier today, has officially been set, with network providers such as O2, Vodafone, Orange and T-Mobile offering the handset for free on limited contracts. Exclusively offering the Galaxy Nexus before anyone else is Phones4u in Oxford Street who opened up shop early to allow punters to get in early to purchase the Galaxy Nexus offering the first 100 customers £250 worth of media vouchers. Carphone Warehouse are also stocking the Galaxy Nexus when it comes out, with contracts starting at £31 per month putting it right in line to tackle the big handsets at the moment. 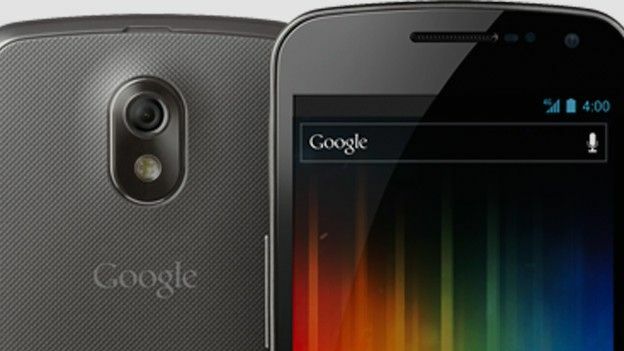 Priced at £474.98 on Unlocked Mobiles and £514.80 on Clove Technology both websites have confirmed they will be receiving their SIM-free stock later this month, this puts the Galaxy Nexus right in line to take on the likes of the Apple iPhone 4S, Samsung Galaxy S2 and the upcoming Motorola Razr. Boasting a dual-core 1.2GHz processor and a 720p 4.65inch display the Galaxy Nexus is the first phone to have what's regarded as a truly HD screen. With a 5MP snapper on the back and a 1.3MP camera on the back the Galaxy Nexus also features facial-recognition which uses the front-facing camera to unlock the phone. Most notable of course is the fact this is the first Android Ice Cream Sandwich phone with Google's brand-new Tablet/Phone OS built-right in. With features such as a completely new UI and entirely redesigned apps Android 4.0 is packed full of new functions.